I love beauty products that have multiple uses. Radiance Face Trio by Senna Cosmetics has three layers of shimmering radiance. I played with each color individually, creating a pearlized effect around my eyes, nose, lips and cheeks. I then proceeded to swirl my brush around the pallet, feeling inspired, I used this amazing shimmering face trio as an eye shadow and finishing powder. 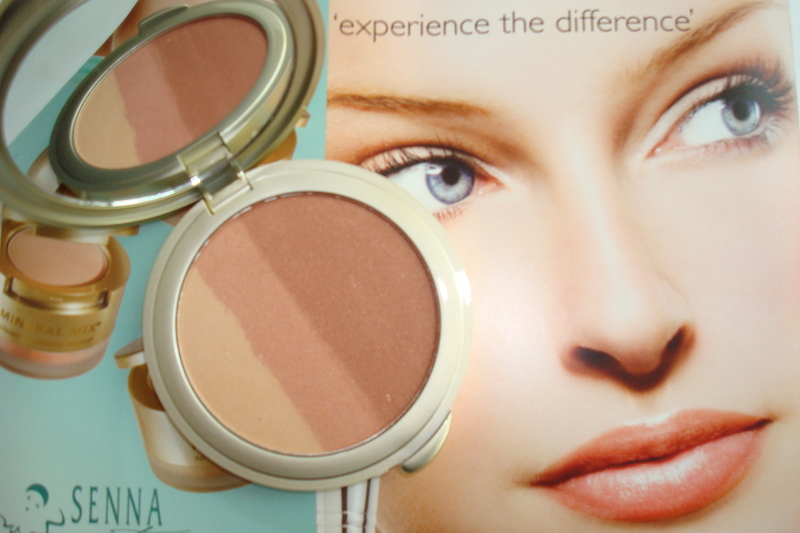 Radiance Face Trio by Senna Cosmetics is a highlighter, blush and bronzer all rolled into one. For that instant healthy glow, glow with Senna Cosmetics. Radiance Face Trio by Senna Cosmetics gets a TEN!